New York: Signet, 1957. First printing, Signet mass market paperback, 1957. Very good condition with straight, uncreased spine, tiny tear to edge of front cover, small sticker scar on back. 128 tight, age-toned pages. A play about drug addiction, first staged in New York in 1955. 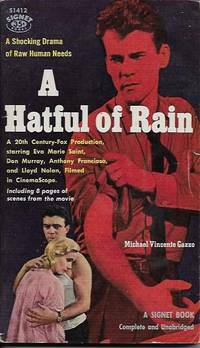 Book contains photographs from the movie starring Eva Marie Saint and Don Murray.. First Thus. Mass Market Paperback. Very Good. New York: Liveright, Inc., 1932. First edition, 1932. Liveright hard cover bound in light green cloth, missing the dust jacket, protected in clear acetate cover. Spine is lightly soiled, has a slight cant. Name, sticker remnant on front end paper. 867 pages, lightly foxed on top edges, end papers show a bit of age-toning. 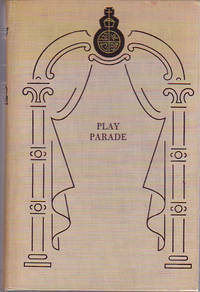 Nine plays selected by Eugene O'Neill as representative of his work. This is the original edition and not the Modern Library reprint. Introduction by Joseph Wood Krutch.. First Edition. Hard Cover. Very Good/No Jacket. 8vo - over 7¾" - 9¾" tall. New York: Penguin Books, 1956. Good copy with age-toning to cover. 75 age-toned pages. . Mass Market Paperback. Good. New York: Arco Publishing Inc., 1985. Fine copy except for red-ink gift inscription on front end paper. Dust jacket, protected in mylar, is lightly rubbed. 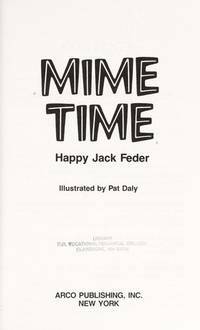 Creative, detailed sketches for one or more mimes. Tips on costume, performance and makeup. 186 clean, bright pages, cartoon illustrations. . First Edition. Cloth. Near Fine/Very Good. Illus. by Pat Daly. 8vo - over 7¾" - 9¾" tall. New York: Grove Press; Dell Publishing Co. Inc., 1964. 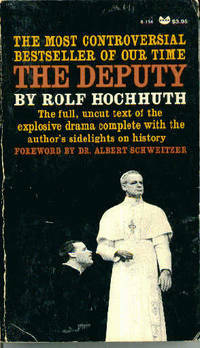 The controversial drama about Pope Pius XII and the Catholic Church during the Nazi persecution of the Jews. Full uncut text complete with the author's sidelights on history. 1977 printing. 352 pages. Cover creased on spine. Bookstore stamp inside back cover. . Mass Market Paperback. Good. New York: William Morrow & Co., 1987. 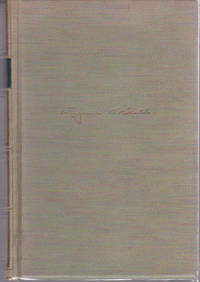 First Edition, 1997. Good copy with gift inscription inside, in very good dust jacket protected in clear, archival polyester cover. Her novels shocked the world. If the world had only known ... 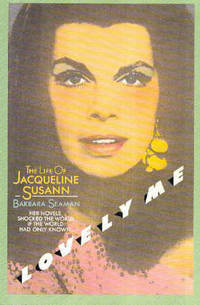 Colorful, gossip-packed biography of the author of the best-selling novel of all time: Valley of the Dolls. 430 pages. Last two pages split from spine at top.. First Edition. Hard Cover. Very good-/Fine. 8vo - over 7¾" - 9¾" tall. New York: Galahad Books, 1969. 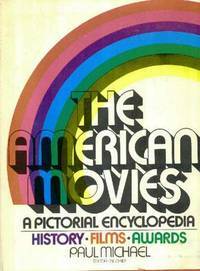 An essential reference work on the American movies through 1967, including complete lists of cast members and production staffs. Also listed are Academy Award winners through 1967. 387 pages. Numerous photographs. Spine pulled at top. Dj soiled, rubbed, with two chips at top of spine and a few tiny tears along top and bottom edges. DJ now Brodart protected.. Reprint Edition. Cloth. Very Good/Good. 4to - over 9¾" - 12" tall. NY: Random House, 1936. First edition, 1936. Very nice first edition bound in green cloth with beveled edges, in good dust jacket with chips at spine ends, edges and hinges, becoming a bit brittle, preserved in Mylar cover. 961 pages, end papers show a bit of age-toning. 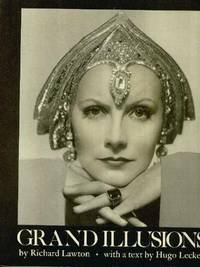 Anthology of complete texts of 14 Broadway plays, including Bernard Shaw's "St Joan," Eugene O'Neill's "Strange Interlude," Maxwell Anderson's "Mary of Scotland," Robert E. Sherwood's "Reunion in Vienna," Dorothy and Dubose Heyward's Porgy and Bess," A. A. Milne's "Mr. Pim Passes By" and Philip Barry's "Hotel Universe.". First Edition. Hard Cover. COLLECTIBLE Very Good/Good. 8vo - over 7¾" - 9¾" tall. New York: Alfred A. Knopf, 1977. First American Edition, 1977. Very nice copy bound in black cloth, in dust jacket with no chips or tears, protected in archival Mylar cover. 244 bright, clean pages. 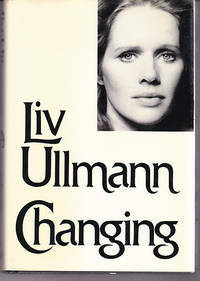 The actress who starred in Ingmar Bergman's films Persona, The Passion of Anna, Scenes from a Marriage and Face to Face tells her story.. First American Edition. Cloth. Fine/Fine. 8vo - over 7¾" - 9¾" tall.